South County Residents of Oakville choose Stl Eagle Siding Contractor as their vinyl siding repair and exterior house siding installation. Oakville is a large neighborhood located in South County of the Greater Saint Louis Area in Missouri that has a large population and many households who require house siding. In the 17 square miles that make up Oakville, the population is approximately 36,000 people with 14,000 households. In the past three decades, Stl Eagle has helped home owners in South County and Oakville with all of their home repair needs including exterior house siding installation and even home siding replacement. In our experience in the friendly community of Oakville, many of the homes are coming around the age that siding repair, installation, or replacement will be required. We advise the households of Oakville to seize the opportunity to call Saint Louis Eagle Siding Contractor or contact us on our website to enquire about our extremely competitive pricing on siding replacement, installation of new vinyl siding, and siding repair. Is your Oakville home siding starting to become too moldy or wood house siding falling apart? We have seen quite a few homes in Oakville that have suffered from irreparable damage to both vinyl siding and wood house siding. This doesn’t happen just in Oakville but we receive calls from concerned residents all over the South County and St. Louis Area. We assure our clients that when it comes to siding solutions, Saint Louis Eagle Siding Contractor is the company to call for siding repair and installation. In our three decades of servicing the St. Louis Area we have been able to help our clients with all of their exterior house siding concerns. Our owner meets with every customer to assess the damage to vinyl or wood siding. After the initial assessment, we will begin to take our customer through the steps in order to repair existing siding or move forward with brand new vinyl siding installation. Even customers who are looking to remove old wood house or cedar siding with vinyl siding have that option as our suppliers have a siding solution for these customers to keep that same look and feel to their home. Once our customer has decided the route they would like to take our owner provides our extremely competitive pricing option to cover all the costs for the siding repair or installation of new siding. Repairing Vinyl Siding on Oakville Homes after Large Storms in South County. In recent Missouri History the area of Oakville hasn’t seen many Tornadoes destroying homes in the community. As lucky as that is, these storm cells have done destructive damage in the community with powerful winds, rain, and hail. As most homeowners are aware, this can do irreparable damage to large portions of vinyl and cedar siding on a home. Saint Louis Eagle Contractor LLC has been working with homeowners in Oakville to repair their homes with brand new vinyl siding and wood house siding after these storms for nearly three decades. In our vast experience in the Oakville area, we have an understanding of the aesthetic appearance of the homes in the older and newer communities of Oakville. Our owner here at Saint Louis Eagle Contractor will help our exterior house siding installation customers to choose from our large vinyl and Cedar siding options that we receive from our suppliers. 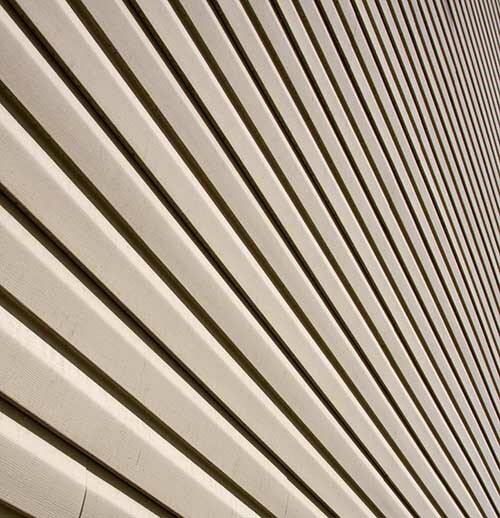 We can help any resident of Oakville find a siding solution that fits with their aesthetic desire and budget. Will Siding Installation help to improve my Home Aesthetics before placing our Oakville Home up for Sale? We feel that this question is best answered by your Real Estate Agent that you have contacted in Oakville. Saint Louis Eagle Contractor has seen a lot of homes have vinyl siding replacement after and before sale. If your Oakville home siding is being consumed my mold, rot, or termites that is tarnishing the aesthetic beauty that exterior house siding should have on your home, then we suggest that it couldn’t hurt to help your home move off the market faster.